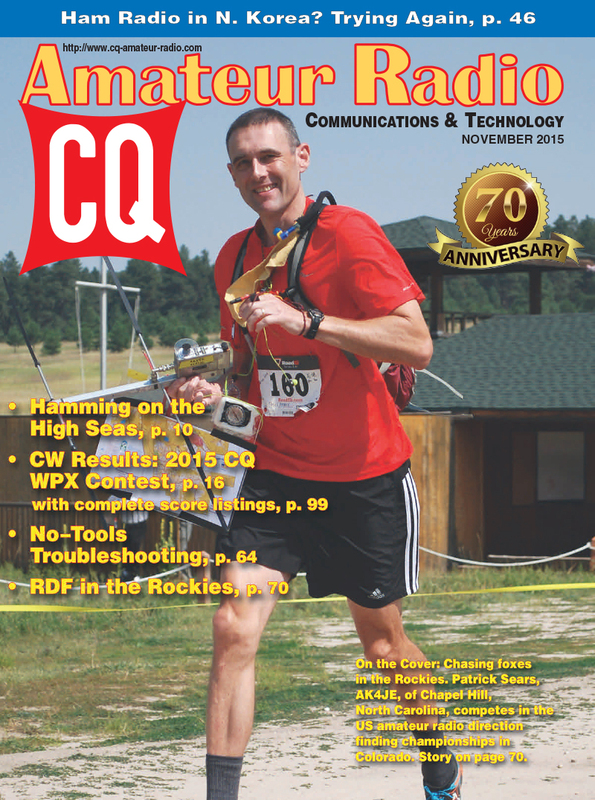 The November issue of CQ highlights the tremendous diversity of interests under the umbrella of ham radio, from operating aboard a cruise ship to the history of Manchuria as a once-and-former DX "entity." 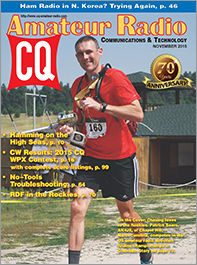 We've also got the CW results of the 2015 CQ World Wide WPX Contest (once again including complete scores in the magazine); part 2 of our introduction to microcontrollers, and part 3 of our "Learning Curve" introduction to the digital multimeter. 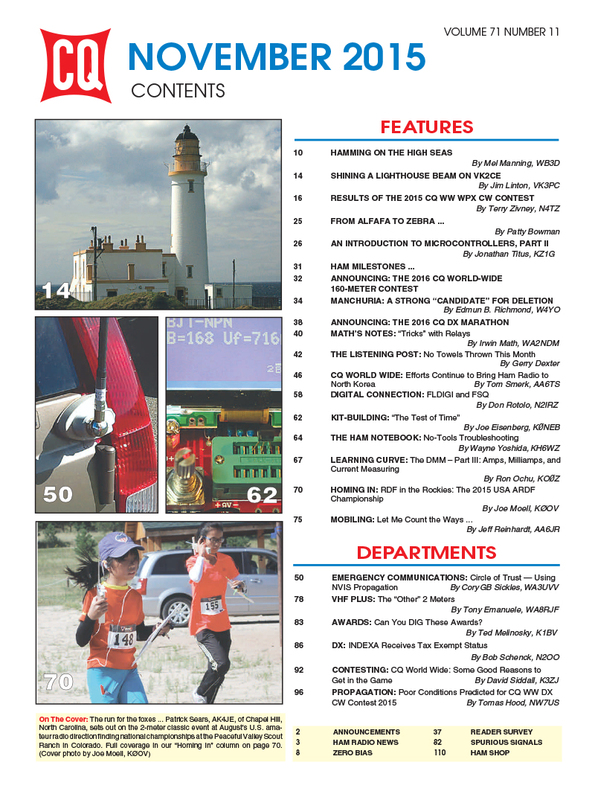 We report on new efforts to open up North Korea to amateur radio; a new digital mode (FSQ), "No-Tools Troubleshooting," and - our cover story - the U.S. Amateur Radio Direction Finding Championships in Colorado. Finally, Propagation Editor NW7US firms up his prediction of excellent conditions for the CQWW SSB weekend (Oct. 24-25), but forecasts poor propagation for the CW weekend (Nov 28-29). Don't despair, though … the CQWW makes its own propagation! 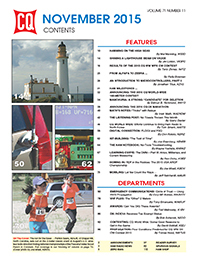 That's a brief look at what's coming up in the November issue of CQ magazine, which should available to online subscribers at the beginning of the month and in print subscribers' mailboxes between late October and early November. For information on becoming a CQ subscriber - to either our print or digital edition - click here! Zero Bias –"What Do Hams DO?" On the Cover: Chasing foxes in the Rockies. Patrick Sears, AK4JE, of Chapel Hill, North Carolina, competes in the US amateur radio direction finding championships in Colorado.